During the winter of 1993/1994 F1 was subjected to infighting, politicking and accusations that cheating was rife within the sport, all of which is explained within the upcoming book. During this time Martin Brundle took a massive gamble with his F1 career, as he refused offers from the likes of Jordan in order to secure the prized race seat at McLaren vacated by the Williams bound Ayrton Senna. 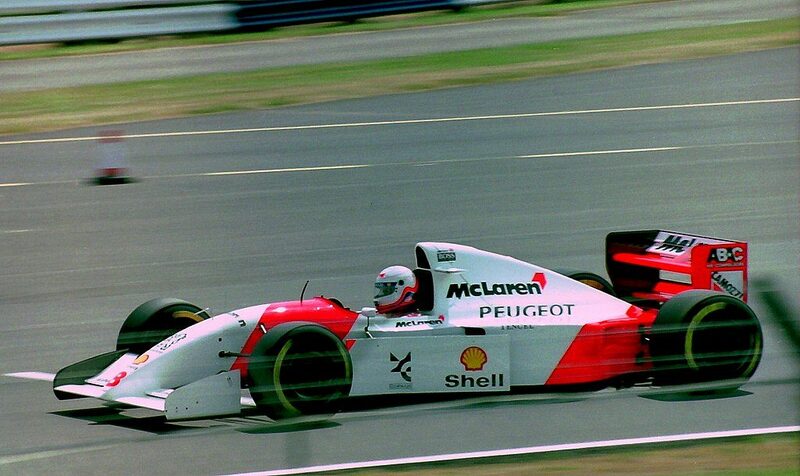 There was a chance 1993 F1 world champion Alain Prost might take it, or Peugeot’s man Philippe Alliot, but Brundle felt the risks were worth it because driving for McLaren would almost be a guaranteed passport to Grand Prix success. 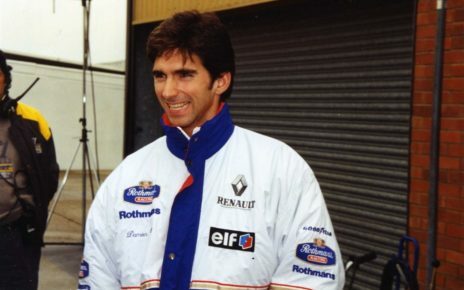 By 1994 the team had won in every season since 1980, and Martin’s gamble was eventually rewarded – albeit on a race-by-race deal for that season. 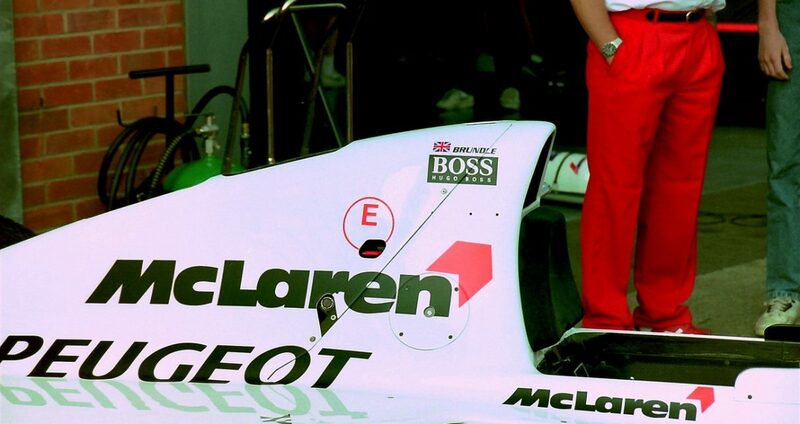 McLaren had been a dominant force during the 1980’s and early 1990’s, but had undergone major change for 1994 including a new engine supplier. 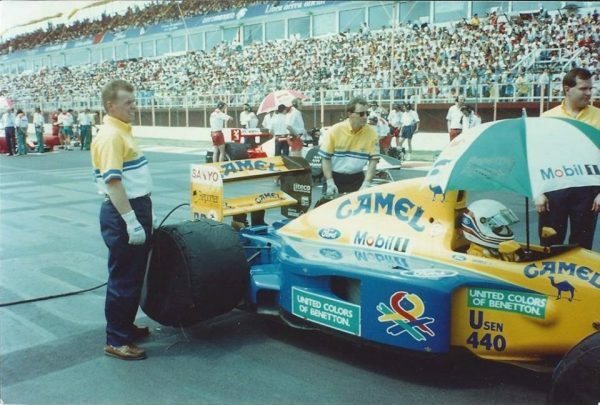 Unfortunately, that was a sign of things to come for Martin, who then described his debut race for the team as “the nearest I had ever come to dying.” This was after his engine’s flywheel came off as he accelerated out of turn 3, which then triggered an almighty accident involving himself, Eddie Irvine, Jos Verstappen and Eric Bernard. Indeed the McLaren new boy would quickly come to learn the Peugeot engine had a habit of destroying itself, often with dramatic results. 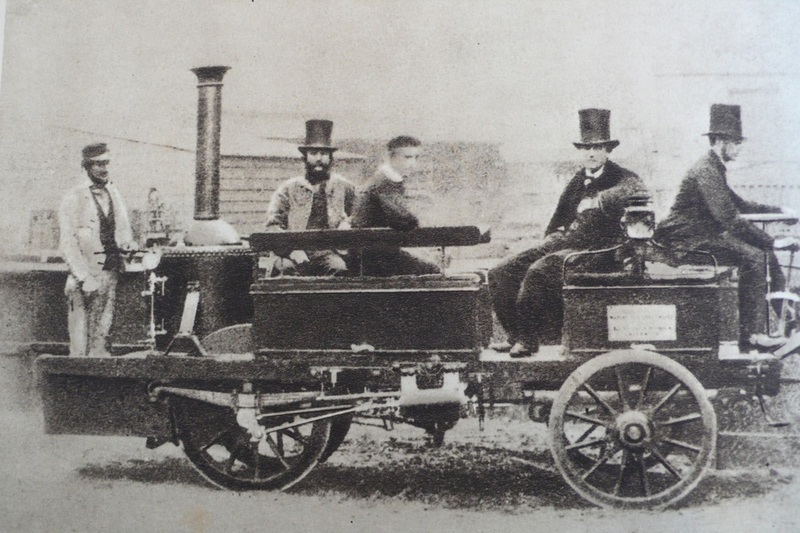 Nevertheless, Brundle’s had high hopes for the British GP that year only for his engine to detonate itself off the line in a way not seen before or since. “I think I did 383 metres…and BBQ half the grid” the furious Englishman later claimed. According to Brundle, he was blamed by Peugeot for the Silverstone engine failure. 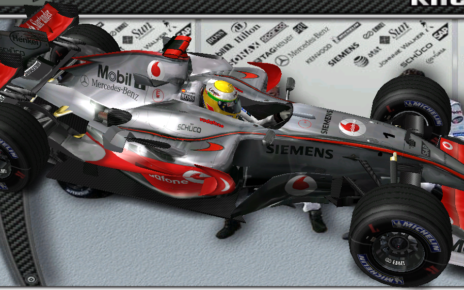 Mclaren, because of internal politics, chose to remain silent over the matter. 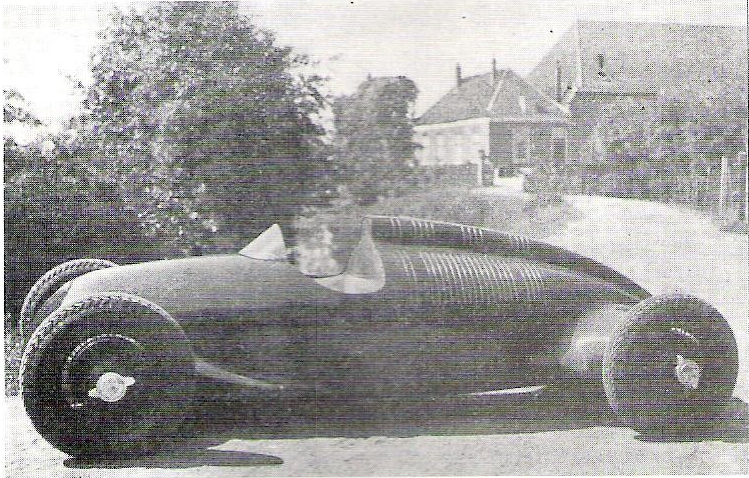 It was internal politics because Peugeot was desperate to get their countryman, Phillippe Alliot, to replace him and his backers were prepared to go to ridiculous lengths. For instance, a previous side by side test between them had been rigged so Alliot posted a faster time because a chicane made from straw bales had been removed during his run. 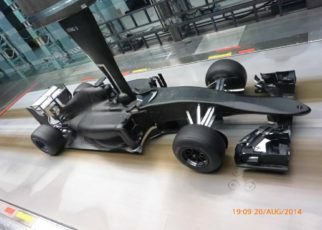 McLaren soon realised what happened because the telemetry showed his steering wheel pointed straight through that part of the track. 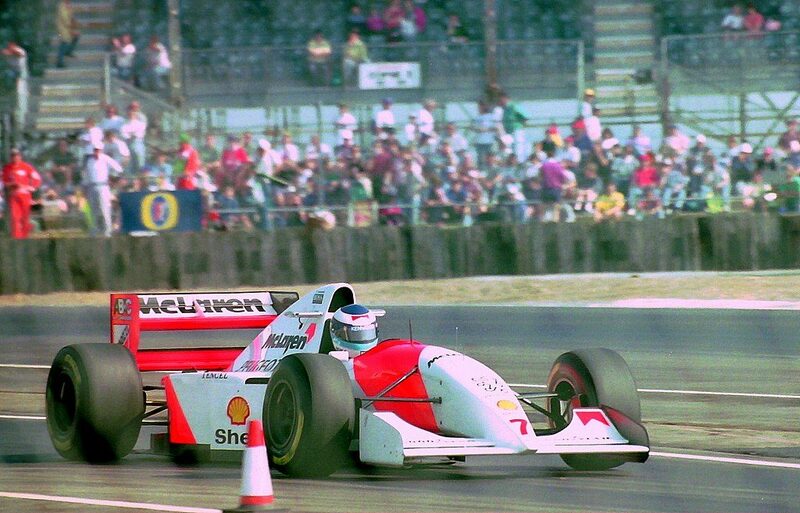 Hakkinen was McLaren’s golden boy in 1994. So had Peugeot successful managed to place Alliot a McLaren race seat, Brundle would have been the fall guy. 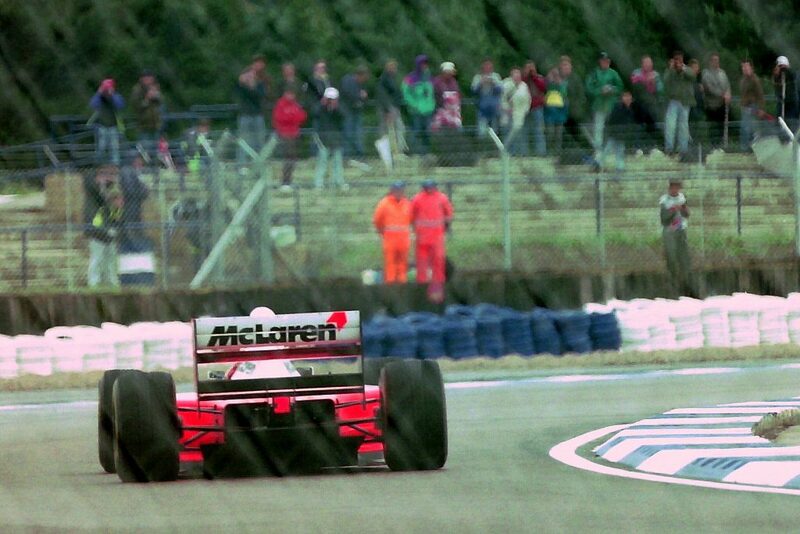 Due to Hakkinen’s race ban following the German Grand Prix, Alliot drove at the Hungaroring but really struggled, qualifying eight places behind Brundle. The Englishman claimed “I was no. 1. And, boy, was I enjoying it. 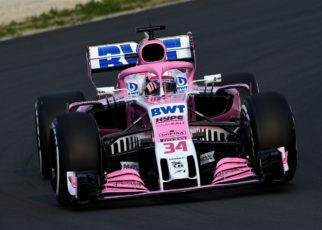 Apart from loving the track, I was revelling in the new found responsibility and the fact that the team were focused on me instead of Hakkinen.” However, the unfortunate Brundle suffered yet more heartbreak during the race, when his car developed a problem on the last lap robbing him of a podium finish. Brundle drove for Benetton alongside Schumacher in 1992 and claimed none of his 1994 teammates could mentally cope with the German’s speed and confidence like he did. 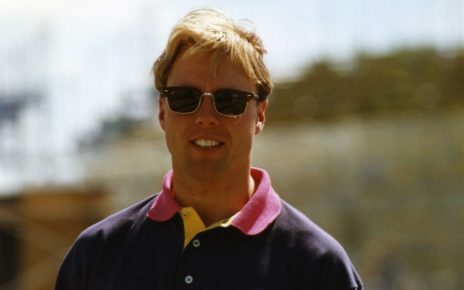 It’s a mystery to many F1 fans that Martin never won an F1 race during his 12-year career despite driving for McLaren and Benetton during the 1990’s and proving a huge threat to Senna in F3. Another mystery is why McLaren escaped any form of punishment despite having proven to have run an illegal gearbox during the 1994 San Marino GP? 1994 – The Untold Story of a Tragic and Controversial F1 Season is a new book which explains this and the various other controversies from that year. 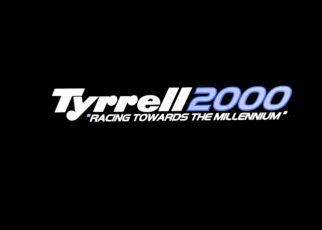 The book is due for release in January 2019 and keep checking www.1994f1.com for more details and F1 blogs. Alternatively sign up here; http://www.1994f1.com/contact/ to receive the book’s release date & new blogs automatically. Formula 1; what does the future hold?